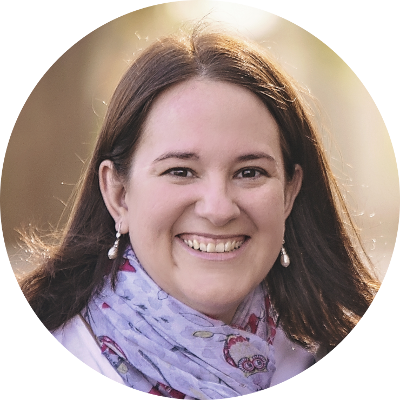 I love that the range encourages our children to role-play, and I’ve seen how Amy can spend hours enjoying setting up her dolls’ zone and then using the accessories to create imaginative stories. 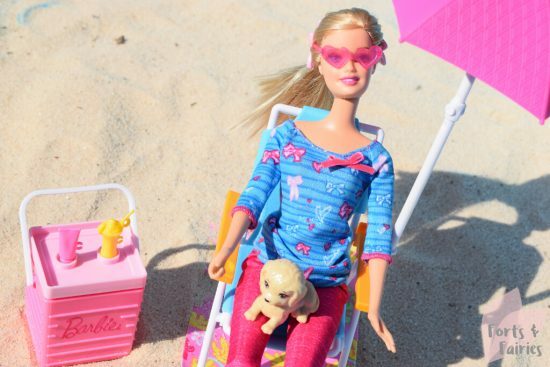 Those lucky Barbie friends get to go on holiday a lot with her! 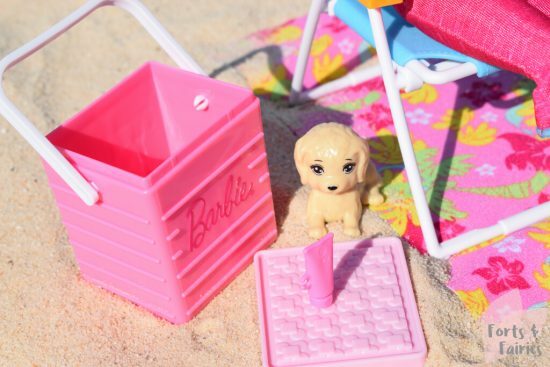 Barbie’s drink and suntan cream can slot nicely into the top of the cooler box or the chair, or she can even hold them in her hand. Amy loves that the cooler box can open, and she stores all sorts of goodies inside for Barbie. 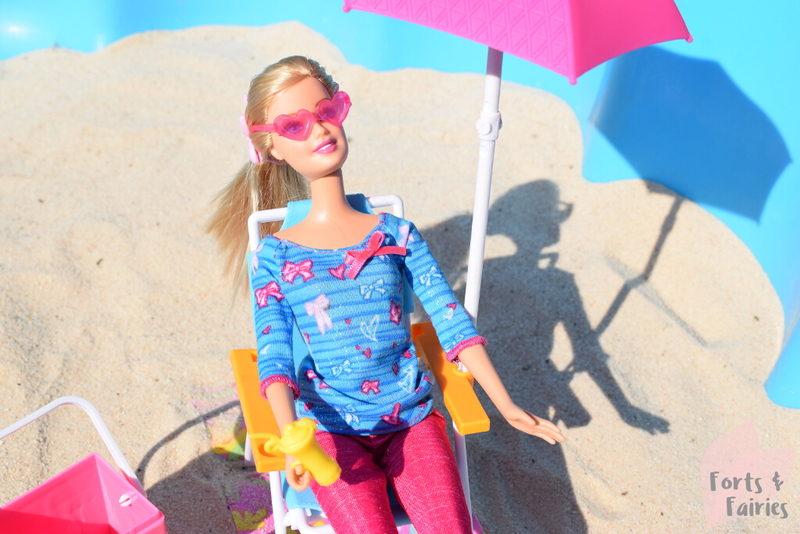 The sunglasses fit nicely onto Barbie’s head to help her keep her cool. All the furniture and accessories are brightly coloured and will have you counting down the days to summer! Barbie sits nicely in the chair, but it will topple over without her in it. I had to smile when I saw Amy arrange this outdoor furniture set for the first time. Barbie was placed in the chair, with the puppy on her lap. The cooler box was within reach with the drink on hand, and the towel was laid under the chair. It was Barbie’s perfect day at the beach. 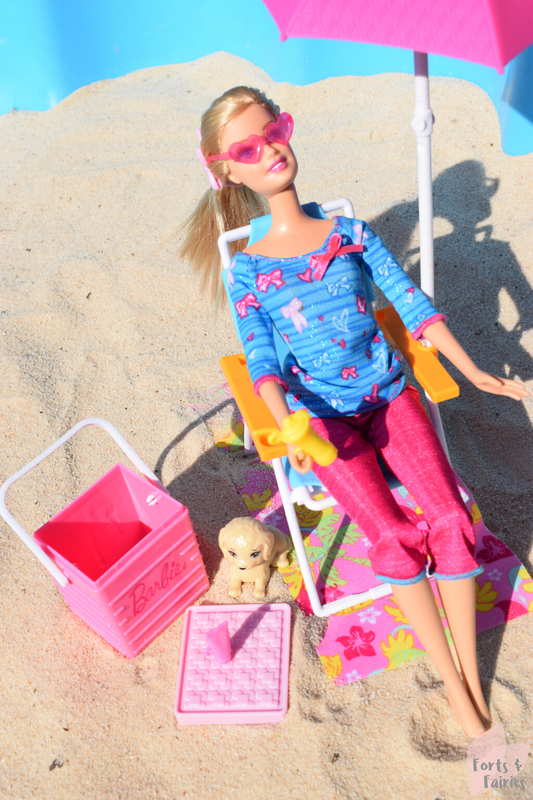 Thanks to Mattel South Africa for letting us take Barbie to the beach with this fun set!